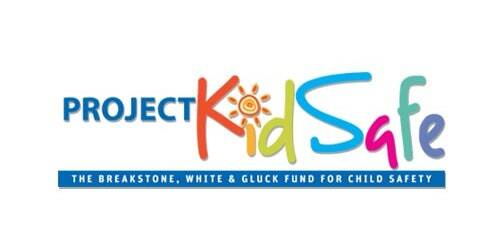 Breakstone, White & Gluck's Project KidSafe campaign has donated over 25,000 bicycle helmets to children since 2013. 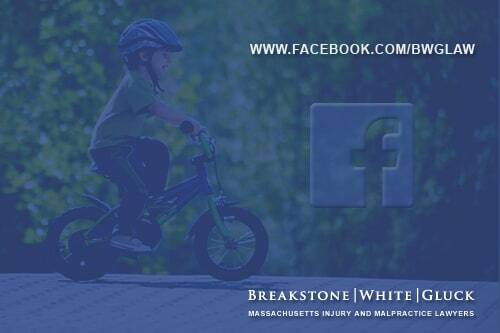 Breakstone, White & Gluck is committed to supporting bicycle safety in Massachusetts. Through our Project KidSafe campaign, our attorneys have proudly donated over 25,000 bicycle helmets to children since 2013. On this page, you will find information about our safety campaign, our community partners and bike safety resources for families. 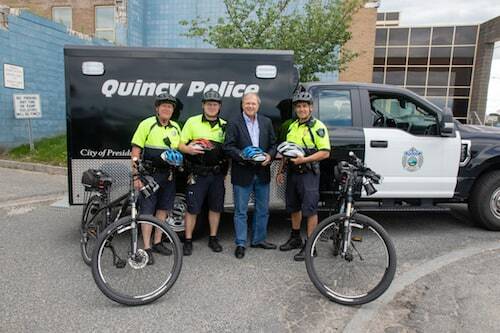 Breakstone, White & Gluck partners with the Quincy Police Department, donating 200 bicycle helmets each year for children participating in community programs and events. Here, Attorney David W. White visits the Quincy Police Department in June 2018, with Officer White, Officer Whedbee and Lieutenant Bina. 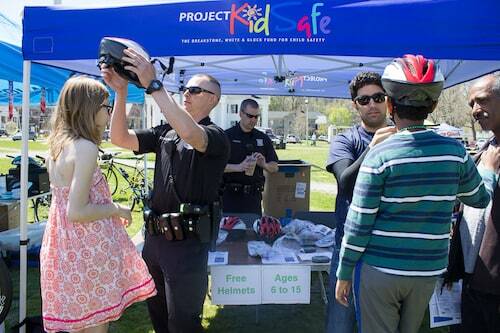 Attorney Reza Breakstone and members of the Framingham Police Department fit bicycle helmets for children at the Framingham Earth Day Festival in 2016. 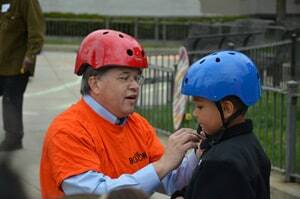 Attorney Marc L. Breakstone participates in a bicycle safety presentation for students at Pierce School in Arlington (April 2018). 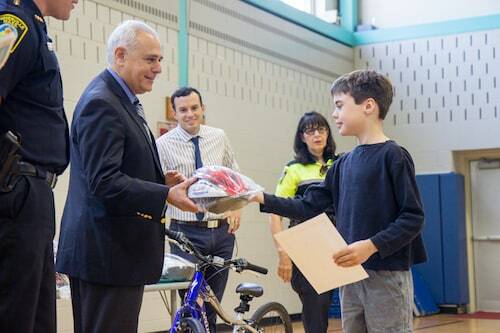 Attorney Ronald E. Gluck hands out free bicycle helmets to fifth graders at the West Somerville Neighborhood School. The students completed the CYCLE Kids curriculum to learn how to ride bikes. (June 2017). 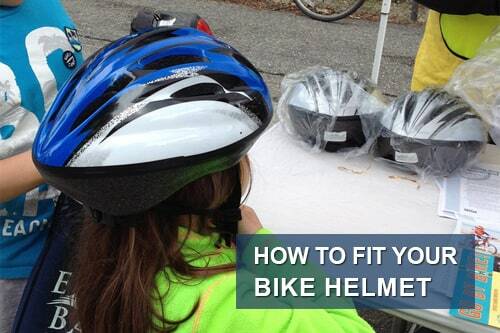 Safety Video: How to Properly Fit Your Bike Helmet. Visit us on Facebook at facebook.com/bwglaw. Bicycle ridership in Boston, Cambridge and other communities has risen dramatically in recent years. Cyclists are commuting to work and also riding for recreation. In response, cities have added paved markings, bike lanes and now even cycle tracks and protected bike lanes. But bicycle accidents do, of course, still happen. Please wear a bicycle helmet every time you ride, along with a safety vest and other clothing to help you stay visible to drivers. Then, always follow the rules of the road and pay attention in your local community. Local bicycle committees, police departments and planning departments are all good resources for safety information for cyclists. We hope you are never injured, but if you are, do not hesitate to call us for a free legal consultation and to learn your rights. Our attorneys have over 100 years combined experience representing cyclists who have been injured by bicycle accidents in Massachusetts. Call 800-379-1244 or 617-723-7676 or use our contact form. 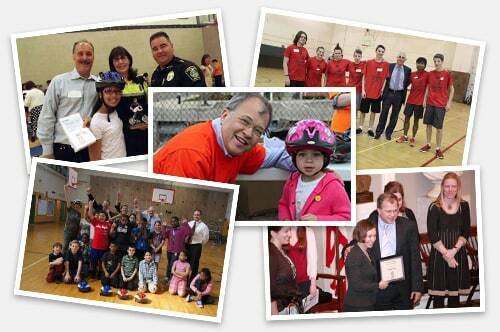 Breakstone, White & Gluck has been an active supporter of bicycle clubs and other programs for over 20 years. 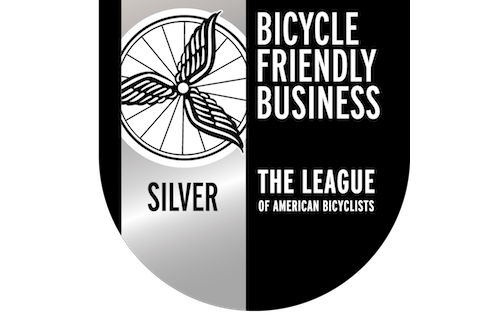 We are honored to be recognized by the American League of Bicyclists as a Silver Level Bicycle Friendly Business. Below is a list of the cycling organizations we proudly support through advertising, event sponsorship and donations of bicycle helmets to youth. Breakstone, White & Gluck is committed to expanding access to bicycle helmets. 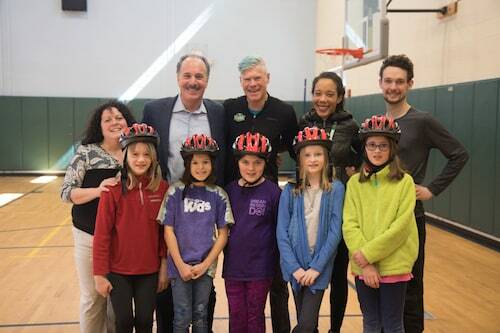 Photos: Our bicycle helmet donations in Somerville public schools, the iCanShine Bike Camp in Arlington and Cambridge Public Schools. We have also supported Boston Bikes' Roll It Forward program, a City of Boston initiative which repaired used bicycles for city residents. 2019 Project KidSafe Flyer on Bike Safety A bicycle safety resource for schools and community groups to share. Massachusetts Bicyclists' Rights and Responsibilities In Massachusetts, bicycles may operate on all roads (except limited access highways or where otherwise posted) and must follow the same rules as motor vehicles, with some exceptions. Read our checklist of rights and responsibilities for bicyclists and motorists. Facts About Massachusetts Bicycle Laws This article is for cyclists just starting on the road. But it also makes a good reference for more experienced cyclists, offering quick answers to questions about cycling laws, safety gear, hand signals and where you are allowed to travel. What Every Massachusetts Bicyclist Needs to Know About Car Insurance As a cyclist, you can purchase extra coverage through your auto insurance policy to compensate yourself should you ever be injured on your bike. Many cyclists are unaware of this option, but it's an important tool. Even though Massachusetts requires drivers to carry a minimum level of auto insurance, many drivers are underinsured or uninsured. If you are injured by one of these drivers, they may not have enough coverage to help you maake a recovery. You may need to file a claim against your own policy to pay for your medical bills and other costs. Dooring Accidents Many bicycle accidents happen after a car has parked, in the moment when a driver opens their door. When drivers neglect to look, they can strike an on-coming cyclist and cause traumatic injuries. Drivers have a responsibility to check so no one is injured. Cyclists should always speak to an attorney after a dooring accident, because these accidents require prompt investigation and an advocate who understands auto insurance laws to initially, help you obtain medical treatment and later, negotiate compensation for your injuries. Bike Helmets Cyclists who are 16 years of age or younger must wear helmets while riding bicycles, under M.G.L. c. 85, § 11B. The helmet must be secured to the cyclist's head with straps and meet standards established by the U.S. Consumer Product Safety Commission.